You are making yourself look silly. I have long supported the diversity policy in Wake County. I think that keeping schools economically balanced is good for the schools. I firmly believe that. However, I refuse to believe that the opposition to this policy is based on anything resembling racism. People don’t want their kids attending schools outside the neighborhoods they live in. Schools across the state, heck, across the nation, assign kids by proximity. If you have a problem with that, go after them as well. The point is that we need to address why at risk kids are at risk. Then, and only then, can we fix the problem. 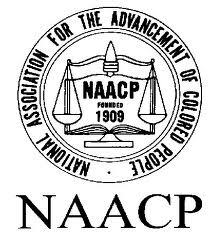 This entry was posted in Education, Politics: North Carolina and tagged NAACP, Wake County, WCPSS. Bookmark the permalink. Are people who do not want to get a pit-bull as a pet for the child somehow racist towards pit-bulls? But only a small fraction bite, say the bleeding hearts!!! Whether it be *clears throat* cultural injustice that predisposes black kid towards violence is not the burden of white parents. Political correctness and bleeding heart philosphy ges out the window in the white light of cold, hard facts – especialy concerning one’s own children. What do they expect? They want to force parents to send throw their white children into a black children, where the cultural identity of that child, as well as potentially the child’s own well being will be destroyed? How inconsiderate and racist of those parents not to want that! This is a war against us, my good friend. They need to get in line. But only a small fraction bite, say the bleeding hearts!!! Whooa, RG, not comfortable with the analogy. My whole point is that this isn’t an issue that should include race. On either side. where the cultural identity of that child, as well as potentially the child’s own well being will be destroyed? Again, uncomfortable with the analysis. I have seen no study that would suggest any form of identity being changed or destroyed. And well being? The data suggests that crime or criminal behavior tracks with economic status and education, not race. To suggest that somehow white kids aren’t safe with black kids is out of bounds. During February, Black History Month, the teachers assign lessons about famous African Americans and the importance of diversity in our society. The rest of the year, these topics are never mentioned. If we taught fractions only during “American Fractions Month”, would our kids ever master those math concepts? I agree that programs like that are counter productive. The goal is to get to the point that race and color don’t matter. And when we get to THAT day, we won’t need Black History Month any more than we would need Red Head History Month.